On May 17, 1814, the Norwegian Constituent Assembly at Eidsvoll signed the Constitution of Norway, which remains one of the oldest in the world. 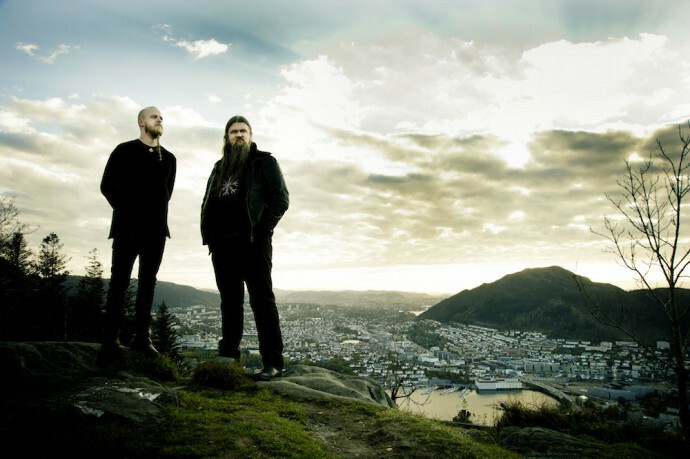 Inspired by the 200th anniversary of that event, Ivar Bjørnson of Enslaved and Einar Selvik of Wardruna joined forces to compose and perform a concert piece called Skuggsjá, which means “mirror” or “reflection” in the Norse language. Skuggsjá was first performed at the Eidsivablot festival in Eidsvoll on September 13, 2014, to commemorate the anniversary. But Bjørnson and Selvik decided that the Skuggsjá project should live on and be expanded. Last fall the duo signed with Season of Mist, taking Skuggsjá as the project’s name. On March 11, 2016, Season of Mist will release their debut album, entitled A Piece For Mind and Mirror. Today we bring you the premiere of a song from the album named “Vitkispá“. 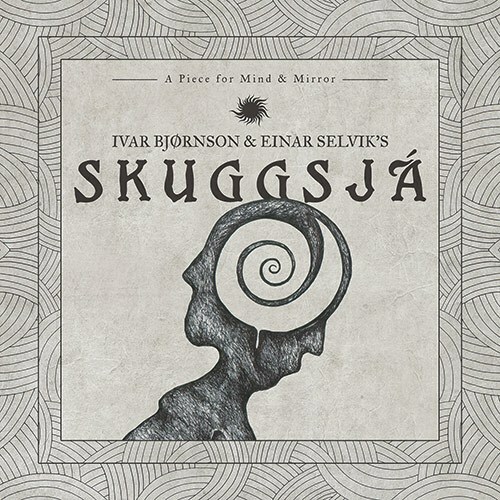 Following the concept that first gave birth to Skuggsjá, the album tells the history of Norway through the use of ideas, traditions, and instruments from the Norse past — as well as the traditions and instruments of heavy metal, which of course is now also an ingrained and important part of Norway’s art and culture. In that sense, the music represents a fusion of the country’s past and present. In conventional genre terms, you could call “Vitkispá” pagan metal or folk metal, but there’s really very little that’s conventional about the music. The vocals are beautiful, the music is dramatic, sweeping, mystical, and of course heavy. As the band set out to do, it summons the past and unites it with the present in a way that’s moving and memorable. (And of course it’s a well-earned exception to that “rule” in our site’s name.) Put this album high on your radar screen. To pre-order A Piece For Mind and Mirror on CD and limited-edition LP, go HERE. A link to Skuggsjá’s Facebook page and the track list are below, followed by our stream of “Vitkispá”. This needs to be performed at Midgardsblot! Definitely a lot of Warduna in here, but frankly that’s a great thing. Psyched to hear all of this. This needs to be performed in my house! Outstanding, as always. Can’t wait for the album. Thanks, guys! First time hearing this. I’ll always remember. Wonderful! Amazing… just amazing. Passion, dramatic arc, captivating… Thank you!!! Well, I was maybe thinking about the twelves rivers of Elivagar, but i’m not sure.. any ideas 😀 ?